In 2015, it was the barn-found Baillon Collection which drew people to spend more than $52.2 million at Artcurial Motorcars’ annual Retromobile sale in Paris. 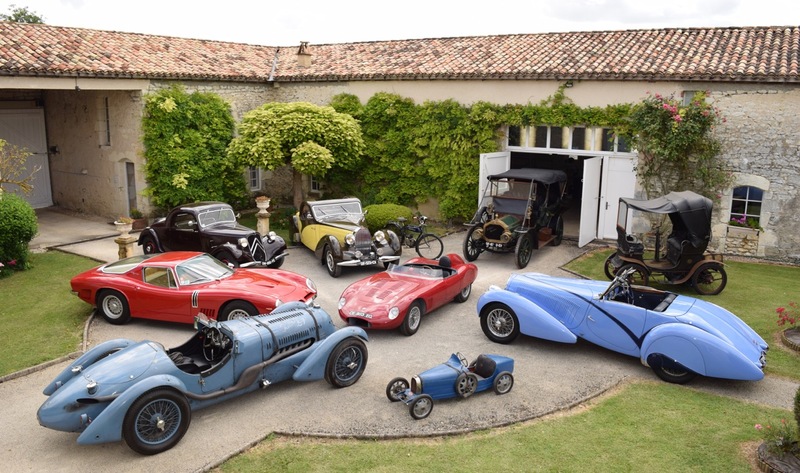 “I love the beautiful vintage coachwork of the Golden Age and also GT cars,” Herve Ogliastro was quoted in Articurial’s news release. “I have owned a Countach, a Diablo, an XK120 and 150, Horch, Delaunay-Belleville, Delage ex-Lesur, the Gordini that belonged to Jean Berha and won at Reims, Ferrari and Porsche… What inspires me are the stories of my cars and the lives they have lived. 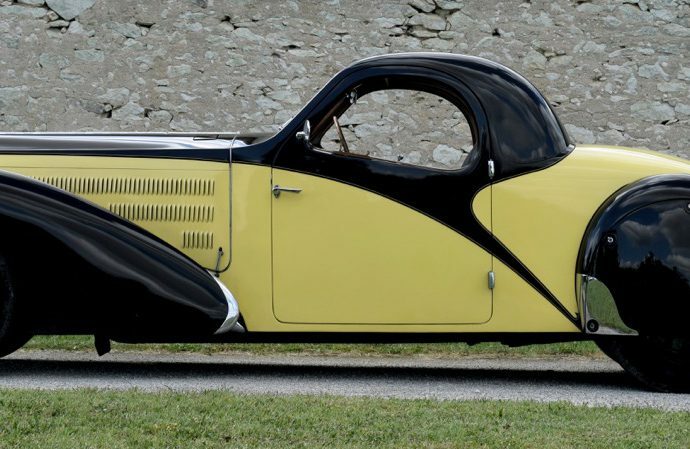 Artcurial characterizes Ogliastro was “a passionate automobile enthusiast… both a collector and a driver.” Ogliastro is a descendant of luggage-maker Louis Vuitton Malletier and for nearly a decade owned the company that managed Retromobile in Paris. Ogliastro’s 1935 Bugatti 57 Atalante is one of only six such cars and was displayed on the Bugatti stand at the 1935 Paris Motor Show. The car has a long history of French ownership, including more than 30 years with the Ogliastros. The 1936 Delahaye 135 is a competition roadster and one of only six given coach-style bodywork by Figoni et Falaschi. Soon after World War II, the car became a cabriolet. The Ogliastros’ 1936 Talbot was a factory racing car that competed in the 24 Hours of Le Mans three times in the late 1930s and again in 1949. It also ran in the 1937 Mille Miglia and several Grand Prix races. Artcurial has set pre-auction estimated values on the Bugatti, Delahaye and Talbot of $1.1 million to $1.6 million each. The 1957 Osca Spider is one of only six built with a 273 S engine and raced 50 times between 1957 and 1965. Other star cars on Artcurial’s Retromobile auction docket include the Reims-winning 1948 Ferrari 166 Spyder Corsa Scaglietti, the 1939 Delahaye 135 MS ordered by oil magnate Felix Benitez-Rexach for his actress wife “la Mome Moineau,” and the 1982 Renault 5 Turbo that Jean Ragnotti drove to victory in the Tour de Corsica rally.